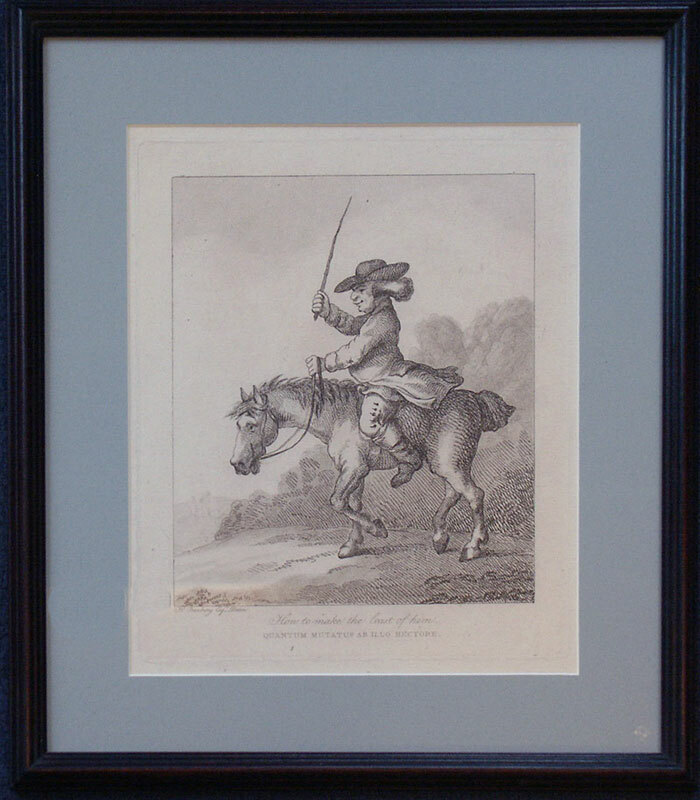 A stipple plate engraving by William Dickinson after the drawings of Henry Bunbury, printed in sepia ink and published in the Annals of Horsemanship, London 1791. William Dickinson (1746-1823) was a stipple and mezzotint engraver of caricatures and portraits after his contemporaries who lived and worked in London. Others in the series available.